SENSORIAL ANALYSIS: dark red ruby colour and at the olfactory it shows a rich fruit that remembers blackcurrant and bilberry. At the palate it's charming, full and elegant, the tannins are velvety and persistent. SERVING TEMPERATURE: 16 - 18 ° C.
FOOD MATCH: seasoned cheeses, all types of meat and pork products. "Vinum Wine Magazine" has rated the wine "Morgante Nero d'Avola, Sicily, Italy" the vintage 2013 on 01.04.2016 with 15 of 20 points. "Wine Spectator" has rated the wine "Morgante Nero d'Avola, Sicily, Italy" the vintage 2013 on 29.02.2016 with 89 of 100 points. "Wine Enthusiast" has rated the wine "Morgante Nero d'Avola, Sicily, Italy" the vintage 2013 on 03.01.2016 with 89 of 100 points. "Wine Spectator" has rated the wine "Morgante Nero d'Avola, Sicily, Italy" the vintage 2012 on 15.10.2014 with 88 of 100 points. "Wine & Spirits Magazine" has rated the wine "Morgante Nero d'Avola, Sicily, Italy" the vintage 2011 on 01.06.2014 with 88 of 100 points. "Wine Enthusiast" has rated the wine "Morgante Nero d'Avola, Sicily, Italy" the vintage 2012 on 09.01.2014 with 88 of 100 points. "Wine Enthusiast" has rated the wine "Morgante Nero d'Avola, Sicily, Italy" the vintage 2010 on 03.01.2013 with 87 of 100 points. "Vinum Wine Magazine" has rated the wine "Morgante Nero d'Avola, Sicily, Italy" the vintage 2010 on 01.04.2012 with 15 of 20 points. "Wine Enthusiast" has rated the wine "Morgante Nero d'Avola, Sicily, Italy" the vintage 2008 on 04.01.2012 with 87 of 100 points. "Vinous Antonio Galloni" has rated the wine "Morgante Nero d'Avola, Sicily, Italy" the vintage 2009 on 01.06.2011 with 88 of 100 points. "Wine Spectator" has rated the wine "Morgante Nero d'Avola, Sicily, Italy" the vintage 2008 on 31.12.2010 with 89 of 100 points. "Wine Spectator" has rated the wine "Morgante Nero d'Avola, Sicily, Italy" the vintage 2007 on 31.10.2009 with 85 of 100 points. "Wine Spectator" has rated the wine "Morgante Nero d'Avola, Sicily, Italy" the vintage 2006 on 31.08.2008 with 90 of 100 points. "Vinous Antonio Galloni" has rated the wine "Morgante Nero d'Avola, Sicily, Italy" the vintage 2007 on 01.08.2008 with 89 of 100 points. "Wine Spectator" has rated the wine "Morgante Nero d'Avola, Sicily, Italy" the vintage 2004 on 31.05.2006 with 83 of 100 points. "Wine Enthusiast" has rated the wine "Morgante Nero d'Avola, Sicily, Italy" the vintage 2004 on 09.01.2005 with 87 of 100 points. "Wine Spectator" has rated the wine "Morgante Nero d'Avola, Sicily, Italy" the vintage 2001 on 31.05.2003 with 87 of 100 points. "Wine Spectator" has rated the wine "Morgante Nero d'Avola, Sicily, Italy" the vintage 2000 on 31.05.2003 with 85 of 100 points. "El Mundo Vino" has rated the wine "Morgante Nero d'Avola, Sicily, Italy" the vintage 2000 on 15.05.2003 with 14 of 20 points. "Wine Enthusiast" has rated the wine "Morgante Nero d'Avola, Sicily, Italy" the vintage 2002 on 10.01.2003 with 84 of 100 points. "Wine Spectator" has rated the wine "Morgante Nero d'Avola, Sicily, Italy" the vintage 1999 on 28.02.2002 with 87 of 100 points. "Wine Enthusiast" has rated the wine "Morgante Nero d'Avola, Sicily, Italy" the vintage 1999 on 05.01.2002 with 88 of 100 points. "Wine Spectator" has rated the wine "Morgante Nero d'Avola, Sicily, Italy" the vintage 1998 on 15.06.2001 with 84 of 100 points. 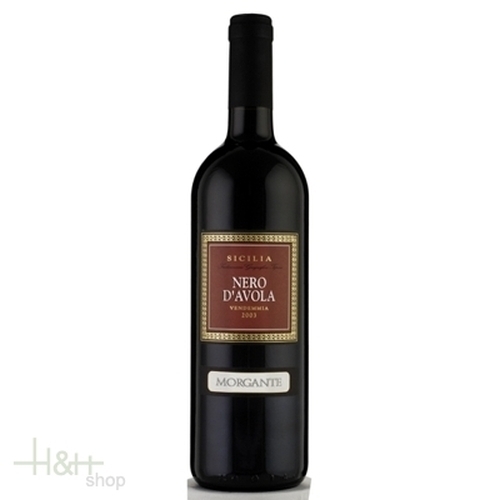 "CellarTracker" has rated the wine "Morgante Nero d'Avola, Sicily, Italy" the vintage 2008 with 88 of 100 points. Bärenbart Cheese Gamsegg Hof approx. 400 gr. This goat raw milk cheese comes the Gamsegg Hof of Langtaufers in the uppermost Vinschgau. Cylinder-shaped red cheese spread with intensely persistent aroma. Creamy-melting consistency. Approx. matured 60 days in the cellar. Strengthens after fatigue and strain, relaxing for the complete nervous system, goes well on hyperacidity of the stomach, to the blood cleaning.